Mike Neil started slow and steady with aviation and took his time becoming a pilot. He wanted to make sure he would be safe in the air. Mike was in no hurry to fly – until he flew in a Cirrus. “I began to use a Share Plus program. I bought a share of an SR22, and immediately, I ended up purchasing the unused hours of all the other share owners,” said Mike. He might not have been able to buy an aircraft of his own, but that little obstacle didn’t stop him from following his dreams. Mike did what any reasonable person would do. He took a calculated risk and put his business on the line. “I expanded my electrical construction company, Allcom Electric Inc., from Fremont, California to Southern California,” Mike explained. Some called him crazy, but Mike’s company doubled in size in just a year and a half. Mike’s desire for a Cirrus not only became an option, but with the expansion of his business, having an aircraft was a necessity. Mike’s dream came true when he purchased a beautiful, Imperial Red Generation 3 SR22 Cirrus aircraft. 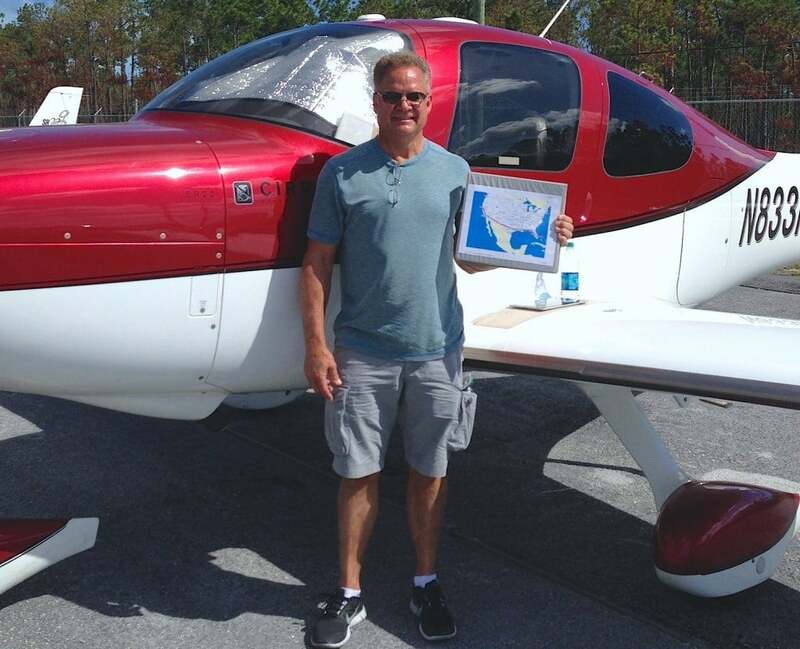 Mike admits, his business would have not succeeded the way it did without his Cirrus. “My Cirrus allowed me to travel and work throughout California – going wherever I needed to. I would have never dreamed about being able to work outside the San Francisco Bay Area but here I am,” said Mike. His business continued to flourish and grow with the nurturing of his aviation passion. 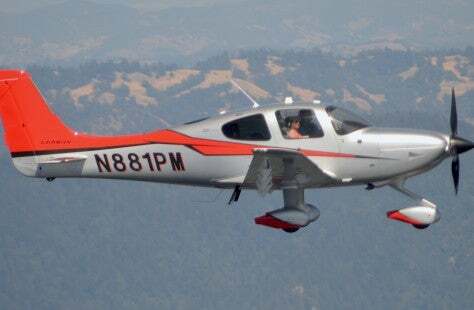 Mike was flying 250-300 hours per year just for business, so as an avid flyer and Cirrus enthusiast, he purchased another aircraft: a brand new Generation 5 SR22T GTS Carbon in Corso Red. “I love the way my new Cirrus runs. I’ve flown this aircraft to the Bahamas, British Columbia and all over the United States. I’m enjoying all the perks of the Cirrus Life,” admitted Mike. Mike Neil and his first Cirrus aircraft, a Generation 3 SR22.